Fenghua has been known for its rich historical and cultural heritage for many years. It is the birthplace of prominent figures in the history, including the poem master Lin Bu and the litterateur Dai Biaoyuan from Song dynasty, the Father of the China Olympics Wang Zhengting, the founder of Netease Ding Lei, the founder of Yintai Group Shen Guojun etc.. The ancient town of Xikou and legend of the Budai mendicant monk have even been selected as National Intangible Cultural Heritage. Fenghua is also a place with picturesque natural scenery, such as the most beautiful peach orchard—Linjiacun Village, the national 5A tourist attraction Mount Xuedou. To achieve further growth, Fenghua must find a way to bring modern glamour into its time-honored culture. This is also why local authorities decided to revive Fenghua and give the town an impeccable new look with perfect integration of mountains, waterscapes, urban community and the residents. By offering a total package of connected lighting, OSRAM and Traxon were selected as the project solution provider. The project aimed to improve the look of central Fenghua, the area near the Fenghua River circled by the Huizheng Rd, Dacheng Rd, Nanshan Rd and Jinzhong Rd, where lies the most prosperous commercial centers. More than 1,000,000 LED luminaires, altogether in 150 types, were installed in the area, including customized OSRAM and Traxon RGBW Linears, Dot, e:cue Butler PRO and Lighting Control Engine 2 fx. All light points have been connected via 4G wireless technology, allowing for central control of all actions and effects. 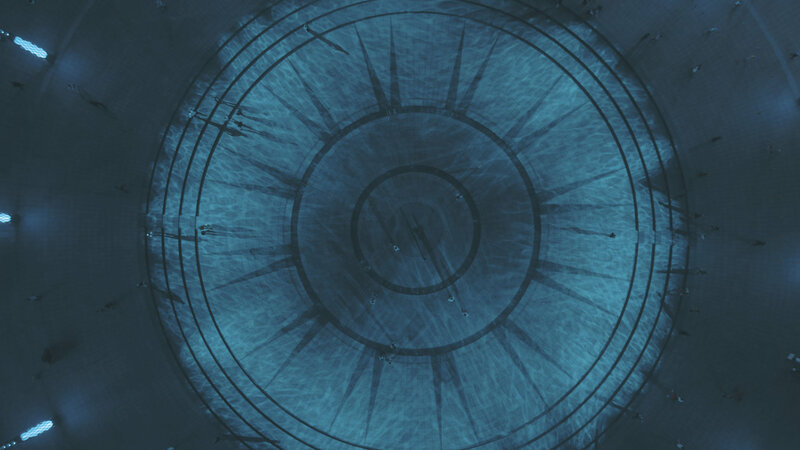 This was made possible by the OSRAM SYMPHO™City centralized smart management platform. As a sure-to-sell product from OSRAM this year, it not only can connect multiple subsystems with ease, coordinating, synchronizing and combining each subsystem like a conductor for an orchestra of lights, but also offer capabilities beyond lighting, such as asset and risk management. 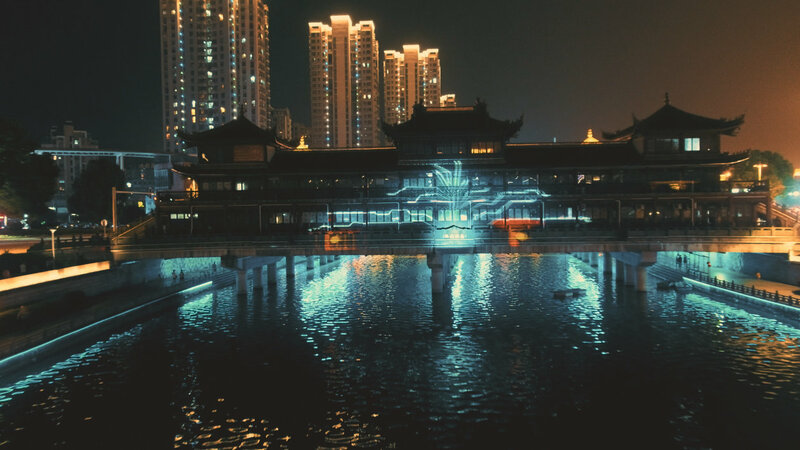 Thanks to OSRAM and Traxon, the town of Fenghua now glows in new radiance. The lighting design has highlighted the beauty of the city’s waterscapes and landscapes, gently interpreting the core of the city’s culture. 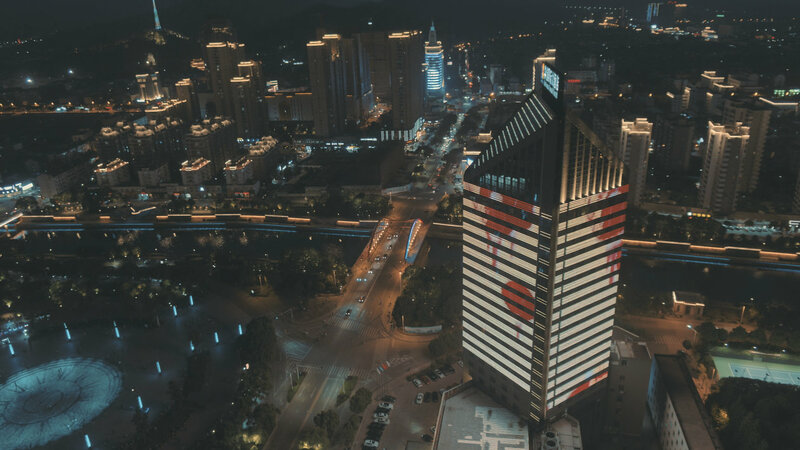 Iconic landmarks like the Yuelin Plaza, Fenghua Sports Stadium, Huizheng Bridge and the Huaxin International Grand Hotel charm everyone walking by with the magic of modern technology. 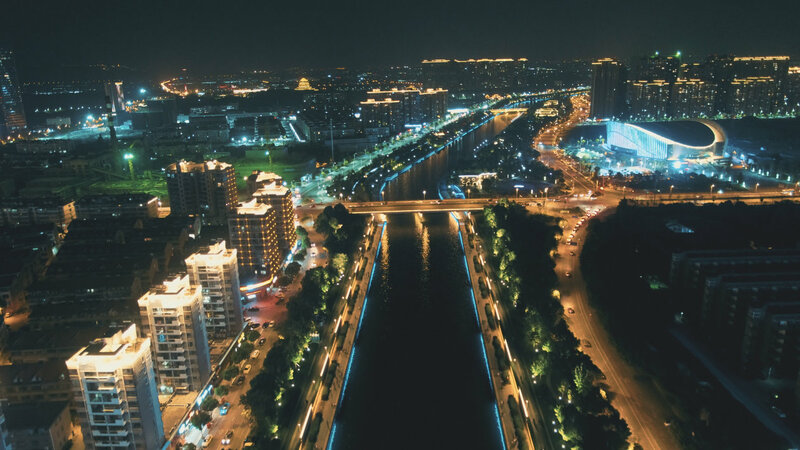 The Fenghua River running through the city has a glistening reflection of the marvelous urban nightlife of over 500,000 people.